This is a pink 5 SMD Pinball LED tower bulb. 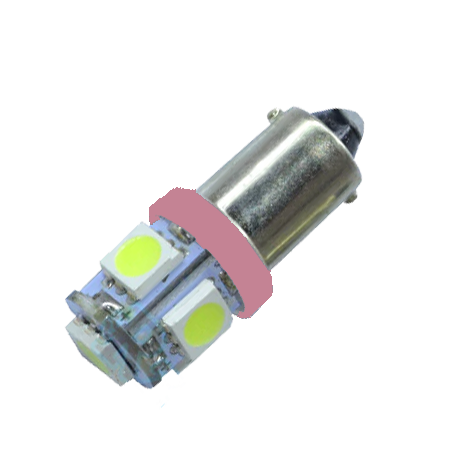 Our pinball led tower bulbs are the ultimate bulb for the general illumination on a pinball machine. You can use these anywhere, but are quite ideal for under the slingshots or outlanes of your game. Anywhere that is not visible during game play and you want some mega brightness, this is your bulb! With 4 LEDs facing outwards and one facing up, there is absolutely not better general illumination pinball led for your game!